CHECK SIZES AND PICTURE IS VERY CLEAR. That would be very silly - how would you know if it is the correct one for that hole. NOTE- This is just one type of many used for the door trims - so. Our part number: S7135. Rest of the world. Front door cards from a Nissan Skyline R33 GTST spec 1. Amazing condition for their age. There are holes cut for tweeter speakers in each card and there is a small mark on the passenger side card at the top. PayPal or cash on collection welcome Collection only from High Wycombe area Thanks for viewing. Nissan Qashqai Complete Interior Set. - Lower centre console storage (between front seats). Plastic trim pieces will have typical wear (e.g. scuffs, scratches) from previous use. - All door cards (inside panels with plastic inserts for handles/storage etc). 2017 NISSAN X TRAIL which we are dismantling. NISSAN X TRAIL Door Panel. X TRAIL 2014 -2017 Mk3 Front Right. The Part imaged and described is th eactual part you will recieve. Colour and code White : qab. JUKE 2014 -2017 Mk1 (F15 Facelift). 2014 NISSAN JUKE which we are dismantling. NISSAN JUKE Door Panel. The Part imaged and described is th eactual part you will recieve. Colour Purple. Trim DCI N-TEC. 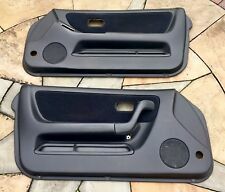 Passenger side door card for Nissan Micra. Genuine Nissan Accessory. It is your responsibility to ensure the part is suitable for your vehicle. QASHQAI 2013 -2017 Mk2 (J11) Front Left. NISSAN QASHQAI Door Panel. 2016 NISSAN QASHQAI which we are dismantling. The Part imaged and described is th eactual part you will recieve. Colour Grey. Trim DCI TEKNA. MODEL:X TRAIL Subject of sale: Door Panel. INTERIOR COLOUR:Unknown. BODY STYLE. BODY STYLE:Estate. Item will be sold as it is shown in the pictures (you will receive exactly what you can see in the pictures). NISSAN PATROL 2.8 TD6 MANUAL 1999. AGE RELATED MARKS. ANY LOCATION OUTSIDE THE UK. GOOD USED CONDITION. Arran - KA27 KA25. Oban - PH 33, PA20-49, PA60-80, KA28. Inverness - ALL. Shetland ZE1-3. Model: X TRAIL. Nissan Specialist Dismantler. Manufacturer: NISSAN. Up to 12 months warranty. Key Features Part: Door Panel. Wheel size: 18. Doors: 5 Door. OUR REF: 1038-221118160200512. VEHICLE REF: YG62. THIS DOES NOT INCLUDE NI, ROI, HIGHLANDS OR OFFSHORE ISLANDS. Subject of sale: Door Panel. BODY STYLE. BODY STYLE:Hatchback. ENGINE NUMBER:045620A. Item will be sold as it is shown in the pictures (you will receive exactly what you can see in the pictures). INTERIOR COLOUR:Unknown. Offside Front Door Card. Qashqai N-Tec DCI (MK1 Facelift (J10)) (ABS). Exterior Colour Code. 5 Door SUV. Electric Front & Rear Windows, Electric Heated Power Folding Door/Wing Mirrors. The table below contains further information. Qashqai Acenta DCI (MK1 Pre-Facelift (J10)) (ABS). Nearside Rear Door Card. Electric Front & Rear Windows, Electric Heated Power Folding Door/Wing Mirrors. 5 Door SUV. The table below contains further information. Offside Rear Door Card. Qashqai N-TEC DCI (MK1 (J10)) (ABS). Exterior Colour Code. Electric Front & Rear Windows, Electric Heated Power Folding Door/Wing Mirrors. 5 Door SUV. The table below contains further information. Then I will retrim it in Genuine Italian Alcantara/real leather and send it back included in the buy it now price. NISSAN QASHQAI MK1 J10 2WD 1.5 DCI 2007 OSF FRONT RIGHT DRIVER SIDE DOOR CARD 80922JD100 / 80910JD100 / 80976JD100, AS PICTURED. REMOVED FROM NISSAN QASHQAI TEKNA MK1 J10 2WD 1.5 DCI (1461 cc) DIESEL 5DR ESTATE. Nearside Front Door Card. Qashqai Acenta DCI (MK1 (J10)) (ABS). 5 Door SUV. Electric Front & Rear Windows, Electric Heated Power Folding Door/Wing Mirrors. The table below contains further information. Nissan Qashqai. Body Colour Colour Code Body Type Body Panels. Plastics and Carpets we always advise cleaning/valeting before fitting. Your warranty only covers the cost of the part itself and not any labour costs incurred in fitting / removing the part.more. 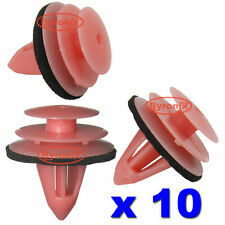 Part numbers: 80922 4EA1A, 80910 4EA1A. NISSAN QASHQAI J11 MK2 13-18 FRONT DRIVER RIGHT BLACK LEATHER WHITE STITCH DOOR CARD BARE. We are Breaking a 2017 Nissan Qashqai N-Vision Dig-t J11 MK2 (Facelift). Qashqai Tekna DCI (MK1 Pre-Facelift (J10)) (ABS). Offside Rear Door Card. Exterior Colour Code. Electric Front & Rear Windows, Electric Power Folding Door/Wing Mirrors. 5 Door SUV. The table below contains further information. Qashqai Tekna DCI (MK1 Pre-Facelift (J10)) (ABS). Offside Front Door Card. Exterior Colour Code. 5 Door SUV. Electric Front & Rear Windows, Electric Power Folding Door/Wing Mirrors. The table below contains further information. Qashqai Tekna DCI (MK1 (J10)) (ABS). Offside Front Door Card. Exterior Colour Code. 5 Door SUV. Electric Front & Rear Windows, Electric Heated Power Folding Door/Wing Mirrors. The table below contains further information. Qashqai Tekna DCI (MK1 (J10)) (ABS). Offside Rear Door Card. Exterior Colour Code. Electric Front & Rear Windows, Electric Heated Power Folding Door/Wing Mirrors. 5 Door SUV. The table below contains further information. Nearside Rear Door Card. Qashqai N-Tec DCI (MK1 Facelift (J10)) (ABS). Electric Front & Rear Windows, Electric Heated Power Folding Door/Wing Mirrors. 5 Door SUV. The table below contains further information. Floor Carpet. This does not include Channel Islands, Northern Ireland and Scottish Highlands. The carpet would benefit greatly from a clean before being fitted. Specialising in used Nissan Parts for a wide variety of Nissans, including the Skylines, GTR and 200sx/Silvias. 2017 NISSAN X TRAIL which we are dismantling. NISSAN X TRAIL Door Panel. X TRAIL 2014 -2017 Mk3 Rear Right. The Part imaged and described is th eactual part you will recieve. Colour and code White : qab. We are a bonefide 'End Of Life' Vehicle Dismantlers situated in East Devon. We also boast an extensive used car parts centre. We willALWAYS resolve your issue but would ask that you call us in order to do so. Subject of sale: Door Panel. BODY STYLE. BODY STYLE:Hatchback. Item will be sold as it is shown in the pictures (you will receive exactly what you can see in the pictures). ENGINE NUMBER:08134C. ENGINE SIZE:1994. BODY STYLE:Convertible. Subject of sale: Door Panel. BODY STYLE. ENGINE NUMBER:002812. Item will be sold as it is shown in the pictures (you will receive exactly what you can see in the pictures). ENGINE SIZE:1598. Model: JUKE. Nissan Specialist Dismantler. Manufacturer: NISSAN. Up to 12 months warranty. colour: Black. Interior colour: Unknown. Key Features Part: Door Panel. NISSAN LEAF. Engine by NISSAN. DOOR/CARD PANEL. FRONT PASSENGER LEFT. We are also not responsible for installation errors, labor expenses, or any other expenses that may occur. Wheel size. Paint code. NISSAN QASHQAI J11. GENUINE NEW. LEFT FRONT. ISLE of MAN / WIGHT. ALL ZE CODES. PH4 - 41, 49 - 50. PA20 - 38, 41 - 49, 60 - 78. IV1 - 28, 30 - 32, 36 - 48, 51 - 56, 63. INTERIOR COLOUR:Unknown. Subject of sale: Door Panel. BODY STYLE. TRANSMISSION:6 Speed. BODY STYLE:Hatchback. ENGINE NUMBER:72340D. Item will be sold as it is shown in the pictures (you will receive exactly what you can see in the pictures). INTERIOR COLOUR:Black. Subject of sale: Door Panel. BODY STYLE. TRANSMISSION:6 Speed. BODY STYLE:Hatchback. ENGINE NUMBER:D452901. Item will be sold as it is shown in the pictures (you will receive exactly what you can see in the pictures). Nearside Front Door Card. Juke Visia DCI (MK1 (F15)) (ABS). 5 Door SUV. Electric Front & Rear Windows, Electric Door/Wing Mirrors. The table below contains further information. Vehicle Photographs & Guide. Front RH door card, Part as per picture, to fit the following vehicle range. New but the box is tatty. Genuine Nissan Part.